Jimmy Ta moved from Vietnam to the United States with his mother and siblings when he was in elementary school, but his father was unable to join them for another year. Jimmy struggled with the language, the culture, and with a lack of self-confidence. When a teacher invited him to join a mentoring program called Youth Ambassadors, Jimmy learned that everyone has struggles of some sort and he found a deep satisfaction in helping others overcome theirs. In Youth Ambassadors, fifth graders work with a partner that is a third grader. I used to work with a little boy. He’s silly, but there’s a charm in him that made me not mad at him. Mentoring is great. They teach me how to not get mad because someone can’t reach the level you’re at. A kid in another elementary school created something called the Buddy Bench. If you are sad or don’t have anyone to play with, you would go sit on that bench. If someone sees you sitting there, they’ll go talk to you and play with you. It’s a compassionate thing to do and it lets kids with social problems or who are [having] a bad day see that others care about them. How does Jimmy’s young age impact how you read and digest his words? In general, how much weight do you attach to a point of view depending on the age of the person providing it? How does hearing other peoples’ stories about struggle change your approach to your own struggles? Have you ever been mentored by someone? Have you ever mentored someone? What did you learn through that process? How do you (personally) practically put into practice the idea of the “Buddy Bench” in your everyday life? How much of your understanding of peace is relational? 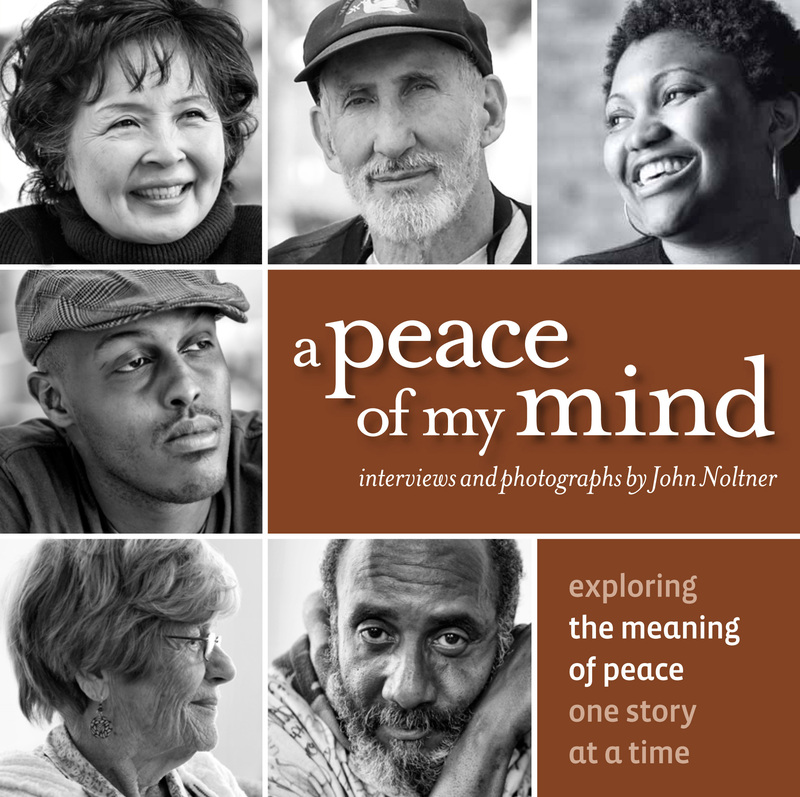 How is your definition of peace influenced by your interaction with others?